The more you advance in your growing career, the more tricks you will have under your belt to efficiently increase yields. Here are our top favourites. Growing weed is not that difficult. Growing great weed comes from practise and experience. Growing that same great weed and dramatically increasing your yields per plant only requires some experimentation. To achieve peak plant performance consistently, that is an art form. After your first couple of successful grows, this is the next step, as most of these techniques do not require any extra investment. There are several ways you can achieve superior yields, and knowing the exact combination of techniques that work best for you will require some trial and error. Cannabis has a very predictable growth cycle. It is also a very resilient plant, meaning it can withstand all sorts of abuse. As such, it is effortless to experiment gradually, without running the risk of disastrous results. Here are our top recommended ways to increase your yields effectively. Give them a try, and be sure to smile when you realise how much bang for your buck you can get out of your grow room. This may not seem like a high-yielding technique, but in fact, it is the single most important thing to do when running a grow operation. And it certainly is the only way to take your yields to the next level consistently. Taking detailed notes of your every move will allow you to always look back and reassess your plan. 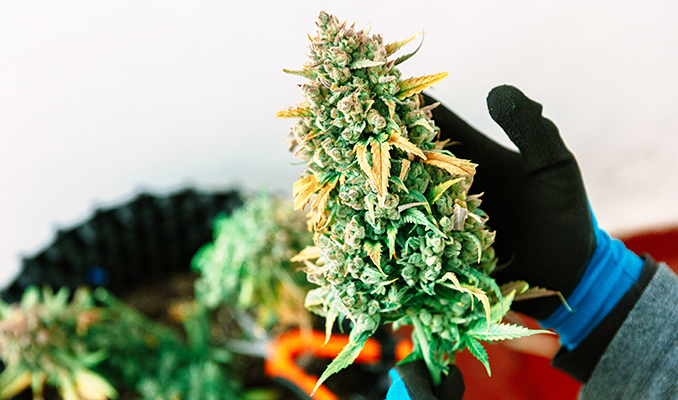 Some actions in the grow room can take several days or even weeks to show their result. To think you will remember your every decision is a rookie mistake. Be it treating a deficiency, pushing plant nutrition, introducing additives or training techniques, among others, it is key to learn the finer details that make all the difference. Despite being somewhat predictable, each cannabis strain will behave differently from one another. Some require stronger or milder feeding, others will tolerate heat and humidity differently. Some are more mould-resistant, others may react better to training techniques. Each strain may also have several phenotypes, which could complicate its requirements further. For that reason, the most advanced growers keep mother plants from known strains (a select phenotype) that produce the most and best weed. Clones are taken from the mother, and the grower is sure they will grow at the same speed, require the same nutritional schedule, and yield handsomely. Keeping mothers does require more space and planning. Smaller indoor growers simply do not have that privilege. Growing from seed is certainly not a deal-breaker for fantastic yields though. 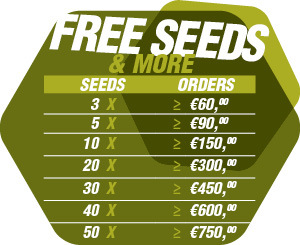 All you need is a reputed seedbank to guarantee you get what you pay for. The most important thing is to get to know your favourite strain as best as possible. This will allow you to provide the best environmental and nutritional conditions for the genetics to achieve their full potential. The labels on fertiliser bottles are very ballpark figures to get you started. They are quite generic, and are designed for average requirements. Remember, each strain may like more or less food, and may be more or less sensitive to macro or micro-nutrients. Both under-fertilising and over-fertilising may have a severe impact on your yields. By monitoring your plant and looking back at notes, you will be able to find the sweet spot that will ensure maximum growth speed and vigour. Take the time to study some basic cannabis nutrition, especially in transitional phases. For example, a well-timed K (potassium) boost right before switching to flowering can increase the number of bud sites significantly. It will also reduce intermodal spacing and limit the stretch in flowering. Also, a PK (phosphorus and potassium) boost right about when stretching ends can turn your flimsy buds into engorged monsters. There is nothing a PK boost can do by itself; it needs to be timed down to the exact 4–7 day window for it to be effective, so do experiment and never forget to take notes. Training plants is the practise of manipulating plant growth. There are usually two reasons why you would want to do this; training restricts vertical growth, while at the same time increasing yields. The general idea is to break apical dominance. The cannabis plant usually invests more energy into the top cola. By tricking the plant into thinking it has multiple colas, it will render you exactly that. • Topping: Removing the top shoot. This will divide the stem in two and promote more side-branching. • FIM: Similar to topping, this method involves pinching instead of cutting, and leaves some residual shoot behind. If done correctly, it can produce four top shoots. • ScrOG (Screen Of Green): By weaving plant growth through a horizontal net, you can even out the canopy to maximise light exposure to all parts of the plant. • SOG (Sea Of Green): Instead of growing a few big plants, SOG involves lots and lots of little plants, usually clones. These are flowered earlier, but each clone will develop a massive central cola. 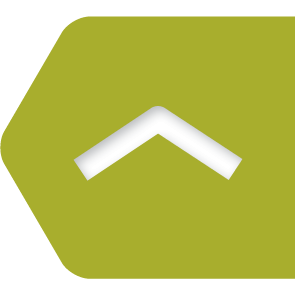 • Supercropping: By pinching a stem carefully at a 90º angle, you will produce a lesion. With time, this lesion will heal into a thick and strong knuckle that can support more weight than usual. You can use this technique to even out the canopy. Cannabis also feeds on light and carbon dioxide. Adding more light is the most tried and tested way to increase final yields. As long as temperatures and humidity are kept in check, feel free to add more CFLs, LEDs, HID, or plasma lights. All have their pros and cons, but in general terms, the more, the merrier. Carbon dioxide supplementation does require a very advanced growing setup, namely, running a sealed room. You will also need additional dehumidifying and air conditioning power, all of which add up considerably in cost. Concerning raw performance though, nothing beats the combination of high light intensity and carbon dioxide supplementation—anecdotal evidence suggests an added 40–60% boost to the final weight. The formula is quite simple. The bigger the pot, the bigger the roots, the bigger the plant. But, it is slightly more nuanced than that. If you go from a 5l to a 50l pot, it will not necessarily mean your plants and yield will magically increase tenfold. If growing indoors, 50l can be far too much. 5l, however, will severely limit how big your plants can become. As such, you can either add more 5l pots to grow additional plants inside, or grow fewer plants and increase the pot size to 10, 15, or 20l indoors. In typical beginner grow guides, you will usually see a recommended vegetative periods of 4 weeks, and then a “flip” to the 12-12 flowering schedule. But that does not mean you cannot extend vegetative growth as much as you like. By increasing pot size, you will allow the roots to travel further, signalling to the plant it can reach higher and wider. By adding a few weeks to the vegetative period, you will enable the plant to establish its root zone structure better and program itself for a more significant growth spurt when it enters flowering. Are the extra few weeks in vegetative growth worth it? Only your final yield can answer that.